Ivory Hecker is a senior broadcast journalism major and global political economy minor at Syracuse University. She grew up in northwest Wisconsin and first began working in media through radio during her junior year of high school. 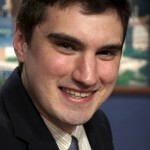 Hecker is interning at WBNG-TV in Binghamton this spring. She spent last summer as a news reporting intern at YNN in Syracuse. She also spent the two previous summers as an announcer live on air at WRLS-FM Hayward. 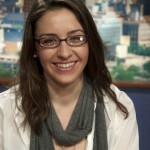 Hecker spent two years on the CitrusTV News team at Syracuse University as a reporter, producer and anchor. This is her third semester working with CONNECT. She is a member of the National Society of Collegiate Scholars and is the president and founder of the Syracuse chapter of Collegians for a Constructive Tomorrow. Hecker plans to pursue a career as an international news correspondent. Conor Hurley is a freshman broadcast journalism major at Syracuse University. He is very excited to join CONNECT in his second semester at school. Hurley is from Buffalo, NY and is an avid fan of Buffalo sports, sports in general, chicken wings, and underground rap music. Hurley is also a goaltender on and is actively involved with the Men’s Club Hockey team. This past spring he interned with the Buffalo News, and looks forward to gaining more experience in the field of journalism with CONNECT in the future. Sarah Hurwitz is excited to be back for her second semester of CONNECT. She is an ambitious news fanatic and avid runner, with a zeal for learning from the world around her. She is from Gresham, OR, pursuing a degree in broadcast journalism. Hurwitz got her start in journalism in 2005 when she joined her student-led newspaper in high school and soon became the Editor-in-Chief. She has an eclectic array of experience in communications and was the lead broadcast journalist for a 20-minute documentary about the “Faces of Hunger,” in the city of Syracuse, in benefit for a non-profit organization in the spring of 2010. This summer, Hurwitz will intern with a major news network in New York. David Kaplan is a junior broadcast journalism and political science major from Roanoke, Virginia and wants to become a reporter. This is his first semester working with CONNECT. 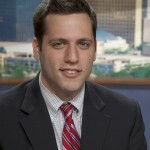 Kaplan was a reporting intern in the summer of 2009 for WDBJ 7 in Roanoke and an assignment desk intern for NBC 10-WCAU in Philadelphia last summer. Kaplan is an avid baseball and basketball fan and these days can either be found in Newhouse, the Archbold hardwood, or his bed at all times. Amy Lipman is a sophomore broadcast journalism and international relations dual major at Syracuse University. She has dreamed of being “the next Katie Couric” since she was 10-years-old and she is taking as many steps as she can towards this goal. Lipman has anchored, reported, and done behind the scenes work for CitrusTV and she is excited to expand her involvement in campus broadcasting organizations to CONNECT. Lipman is a Resident Advisor, DanceWorks dancer, and on the TAP Team. On the rare occasions she has spare time, she also loves snowboarding, reading, and playing the piano. Jamese S. McConico is thrilled to be a part of the CONNECT team. 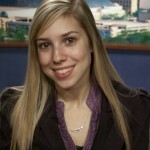 She is a graduate student studying broadcast and journalism at Syracuse University. Formerly the Publications Coordinator at the 6th largest Shakespeare Festival in the world, the Alabama Shakespeare Festival thrust McConico into the real world and she hasn’t looked back since. With an overwhelming desire to help the community at large, she made yet another career change that would allow the voices and stories of real people from all walks of life to be heard. McConico is currently interning with WSTM/WTVH CNY Central News, where she assists in shooting, writing, and editing packages. She also hosts the weekly radio show, The Cool Out, on WERW Real College Radio. She is also passionate about education, youth, investigation, and the arts. 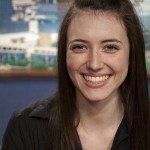 Alexandra Montgomery is a sophomore broadcast journalism and political science dual major at Syracuse University. When she was younger, Montgomery would create stories and report the “news” from behind a cut out cardboard box. Ready to do the real thing, Alexandra joined the CONNECT team. Besides loving the news, Montgomery enjoys skiing, modeling, and Campus Crusade for Christ. This is her first semester with CONNECT. 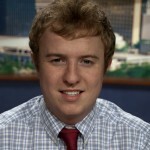 Will O’Donnell is a junior broadcast journalism and political science dual major at Syracuse University. This is his second semester working with CONNECT. This past summer, O’Donnell worked at WCAU, the local NBC affiliate in Philadelphia. He focused on investigative journalism by helping reporters with serious cases. If he’s not on the CONNECT set, he’s either in the pool with the SU Water Polo team or working on an ambulance for SU’s emergency medical response team. Iris Park is a junior broadcast journalism and political science dual major at Syracuse University. This is her second semester as a member of the CONNECT team after a semester abroad in London, England. Park most recently interned with Raindance Film Festival while she was abroad. Raindance is the independent film festival where hits like The Blair Witch Project, Memento, and Oldboy premiered. She interviewed directors, producers, and actors. This past summer Park interned at WFUV FM 90.7 in New York City, where she was a field reporter at press conferences held by local politicians like Michael Bloomberg. Park has also been an active member of CitrusTV News since her freshman year. She is currently a content producer for the Tuesday evening live news show. Greg Shillinglaw is a junior broadcast journalism student from Irvington, NY. This is his second semester with CONNECT. This past summer, he worked as a reporting intern at WCBS-TV. Greg loves going to Syracuse basketball games and enjoys watching the nightly news on NBC. His broadcasting idol is Brian Williams. One day he hopes to work for The Tonight Show or 60 Minutes. Amanda St. Hilaire is a junior broadcast journalism and international relations dual major at Syracuse University. She is thrilled to be back for her third semester with CONNECT. St. Hilaire most recently interned at WHTM 27 in Harrisburg, PA, and at Neiman Group, where she helped tape a statewide documentary about motorcycle safety. St. Hilaire is also a tour guide at SU. Anna Stolzenburg is a junior broadcast journalism and political science dual major at Syracuse University. She has worked on CONNECT before, but took this past semester off while living and studying in Madrid, Spain. Back in the United States, Stolzenburg is excited to rejoin the CONNECT team for a second semester, and develop her skills as a journalist. She is an active member of the SU community as a tour guide, a peer advisor, and anything else she can find the time to do. She also loves to run, and is training for a half-marathon in April. 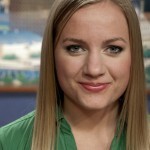 Last summer, Stolzenburg interned at WGRZ, the NBC affiliate in her hometown of Buffalo, NY. Dave Van Moffaert is a junior broadcast journalism major at Syracuse University. After his freshman year, Van Moffaert transferred from the University of Rhode Island to SU to pursue a career in the media. From Roxbury, Connecticut, he is an Eagle Scout and involved with community service and volunteering in his town. At Syracuse, Van Moffaert is actively involved with the club ultimate Frisbee team. This is his first semester with CONNECT.